This approx. 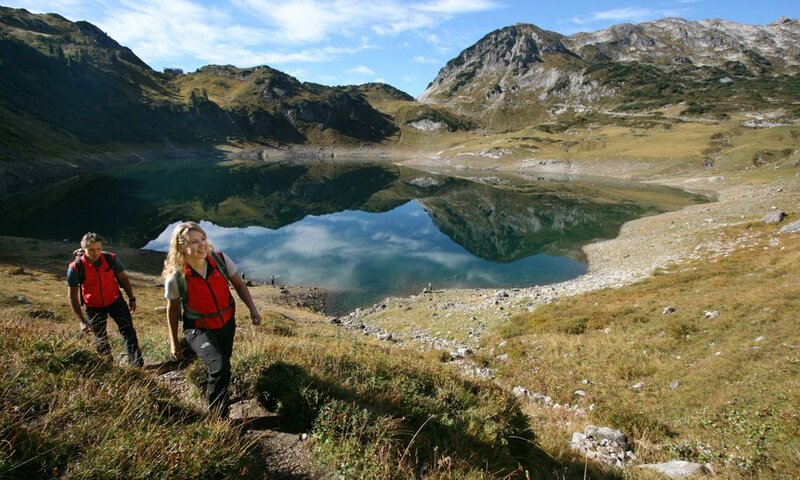 120km-long long-distance hiking trail starts at the source area of the Lech river, in the municipality Lech am Arlberg. It flows through the Lechtal-Reutte nature park region and reaches its destination at the Lechfall in Füssen. The Lechweg trail was opened on 15 June 2012. 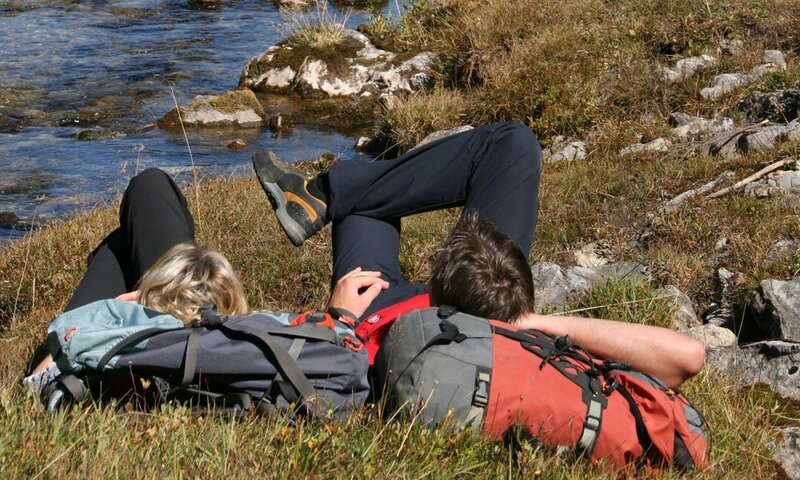 Easy long-distance hiking through an alpine region, which is also one of the last wild river landscapes in Europe: The “Lechweg river trail – from the river’s source to the fall” has made this alpine scenery accessible to leisure hikers. It is also the first border-crossing long-distance hiking trail certified according to the quality criteria of the European Hiking Association. 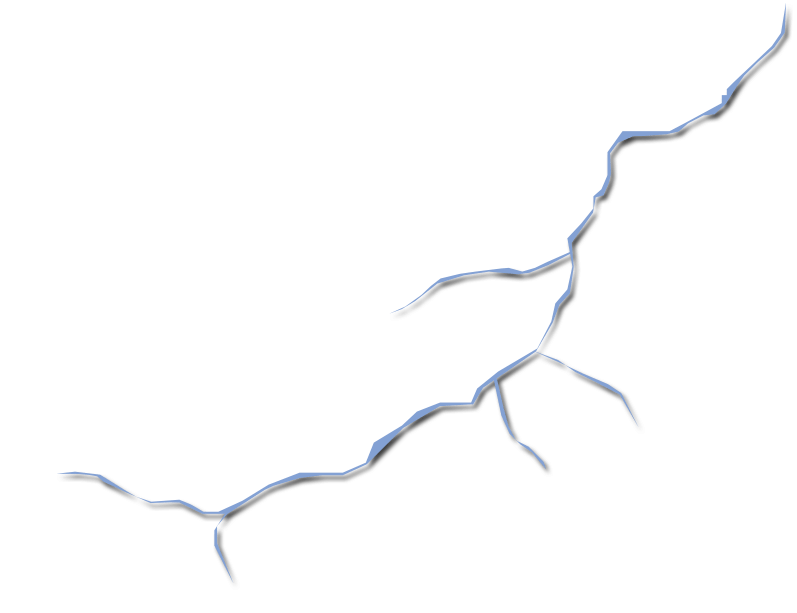 On a length of approx. 125 kilometres the Lechweg leads from the Formarinsee lake near Lech am Arlberg past Warth into the Lechtal-Reutte nature park region and to the Lechfall in Füssen in the Allgäu area. It thus connects three regions and two countries with their respective traditions and history. Experience the leisure and freedom of hiking! The trail is just like the Lech river. ...at times wild and at times gentle and full of legendary stories to discover. It originates at the Formarinsee lake in the Austrian province of Vorarlberg and follows the Formarinbach brook at the beginning. Later on the Formarinbach merges with the Spullerbach and forms the Lech. Past Lech am Arlberg, which was crowned being the “most beautiful village of Europe” in 2004, it continues to the village of Warth, which is home to Vorarlberg’s highest-located dairy and butchery. After Lechleiten the panorama trail leads into the Lechtal to Steeg. Along the Lech river one continues to Holzgau. There late-Baroque “Lüftl” fresco paintings adorn some of the houses. 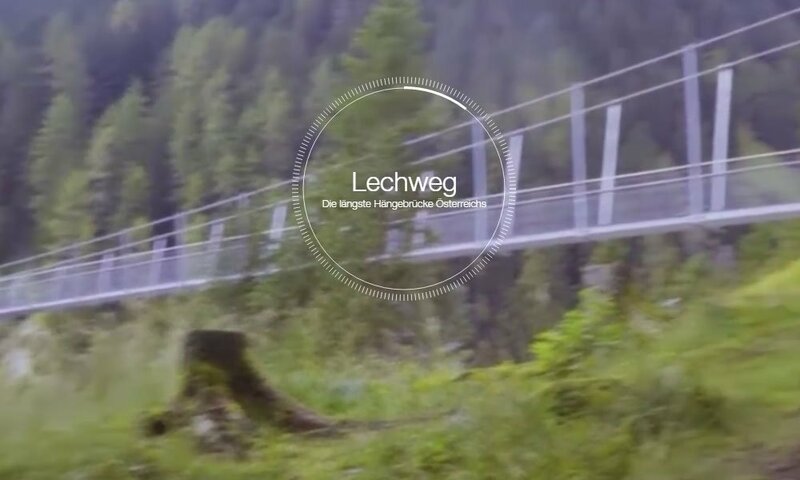 Austria’s probably most spectacular and once longest suspension bridge stretches over the Höhenbachtal gorge. It is 200 metres long, 110 metres high and has a width of a metre. Hikers without a good head for heights can take an alternative trail to Elbigenalp, the home of the “Geierwally” Anna Stainer-Knittel. At Häselgehr the trail leads past the legendary Doser waterfall in the area between Elmen und Martinau, which is famous for its flora and fauna with wild-growing orchids and butterflies. Along the Lech river the trail leads to Stanzach and through the natural floodplains. The trail leads along the wide Lech river bed with its gravel banks to Höfen. From there it continues through the Pflacher Au with its unique variety of birds and continues beyond the border to Germany towards Alpsee. There a fantastic view of the castles of Hohenschwangau and Neuschwandstein opens. Across the Calvary it continues to the Lechfall in Füssen, the end of the Lechweg trail. Depending on your fitness level and experience with long-distance hiking trails you can conquer the trail in six to eight stages. Rafting and canyoning enterprises offer the opportunity to pass some sections directly on the Lech river. Special hiking hosts, which have been certified acc. to quality criteria, ensure your well-being before and after your day stage and are happy to assist you with words and deeds. The villages along the Lechweg trail are easy to get to with public transport or a shuttle service. The luggage can be conveniently transported from stage destination to stage destination. It is possible to get there by car, by train or bus. The Lechweg hosts are specialised on the needs of modern hikers and offer hospitality and comfort after a hike along the Lechweg trail. At the end of the Zugertal valley, in the middle of the mountain range where the Lech originates, is the Formarinsee lake at an altitude of 1,793m. This high mountain lake is the start of the Lechweg trail and recently it has been crowned being the most beautiful spot in Austria. In the ORF TV programme “9 Plätze – 9 Schätze” (9 places – 9 treasures) the majority of the audience voted for this spot on the Lechweg. Every year again, this lake forms from the melted snow and its outflow crosses the European watershed below the ground. The emerald-green Formarinsee lake and the Rote Wand face towering above it are a unique nature landmark. The first stage of the Lechweg to Lech is something you shouldn’t miss out on. Austria is a beautiful country - it is full of surprises and impressive experiences: The LECHWEG river trail is one of these highlights. 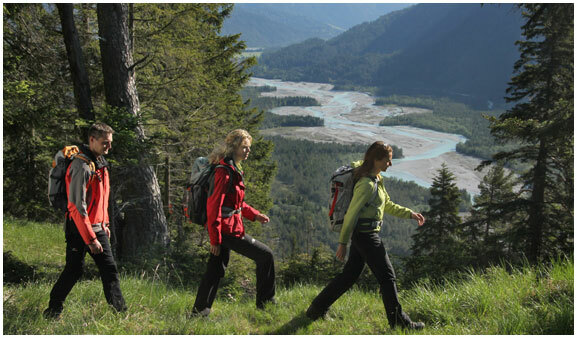 The loop trails are half-day or day tours respectively and begin and end at the Lech trail. Besides of the Lechweg trail there are many other interesting places to discover and experience. 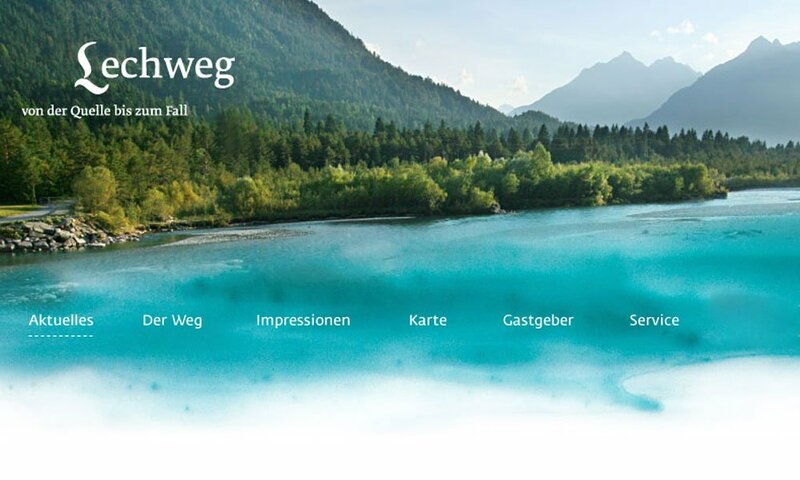 Alpine power landscapes with whistling marmots, dense mountain forests with panoramic trails, the typical wild river landscape of the Lech river with its special fauna and flora or the Allgäu lake landscapes with their fantastic cultural heritage. Fantastic photos await you on our virtual tours. FUN RAFTING in Häselgehr is a family-run business, which has centred its activities on nature and its unspoilt beauty since 1986. 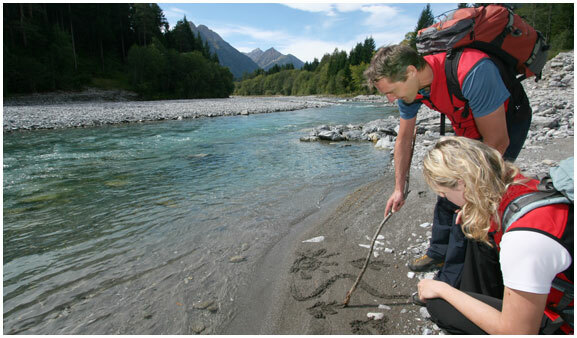 With rafting tours on the Lech river – where always questions on the uniqueness of the Lech with its fauna and flora are answered – you get to know the region from a different perspective. Accompanied by trained guides you can experience unforgettable moments in the wild river landscape. On a special Lechweg tour you can exchange your hiking boots for neoprene boots on Wednesdays at 1:00 p.m. You also get a neoprene suit, a jacket, a life vest and a helmet. Together with other participants and an experienced guide you paddle to Stanzach. This way you can get real close to the Lech river and experience it in its most pristine way. Only a few centimetres separate you from the “Bluatschink”, a mythical creature said to live in the river, and … splash water. At your destination your hiking luggage awaits you. Fun Rafting organises the luggage transport. For that reason it is necessary to book this tour in time! In July and August on Wednesdays at 1:30 p.m. During the other summer months and other days on request.